Smartphone companies have been competing neck-to-neck to launch the world’s first smartphone features. 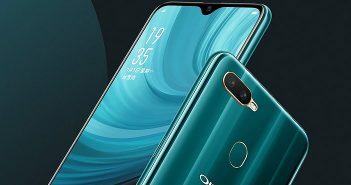 Recently, Oppo announced that it was working on a 5G smartphone that will make its appearance in 2019. The latest news reveals that Oppo has finally achieved its mission of gaining for 5G connectivity. 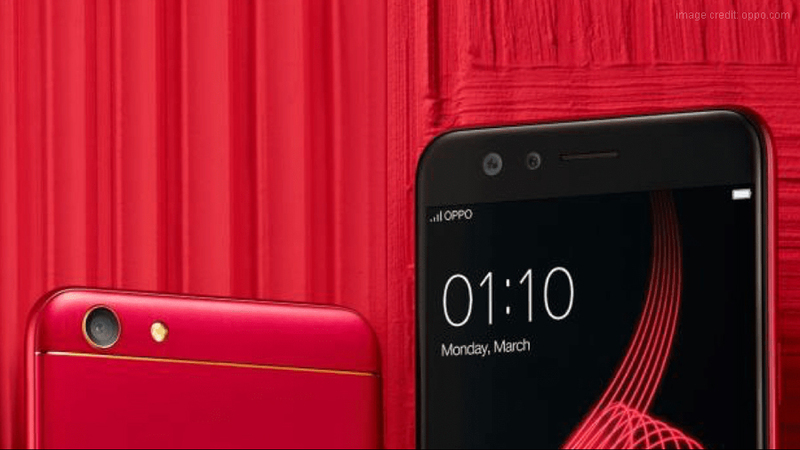 The company has modified its Oppo R15 smartphone and gained internet access with 5G connectivity. 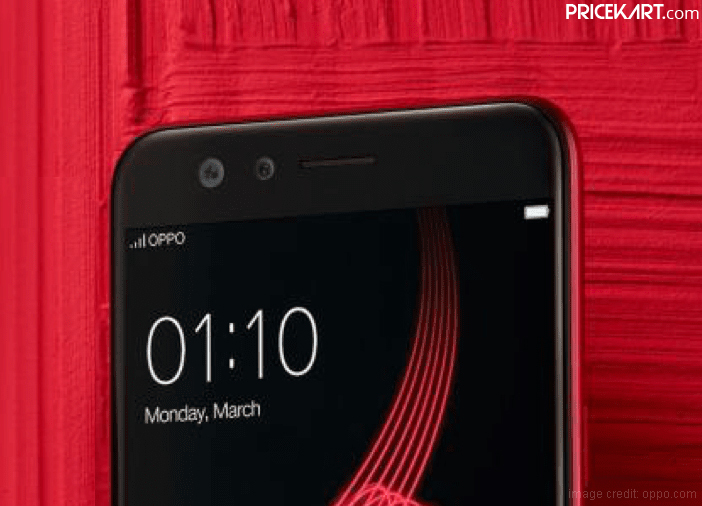 Oppo has revealed a picture of the Oppo R15 smartphone in a lab test which shows that the phone is successfully compatible with 5G connectivity. This test was held at the Oppo Research Institute in China. 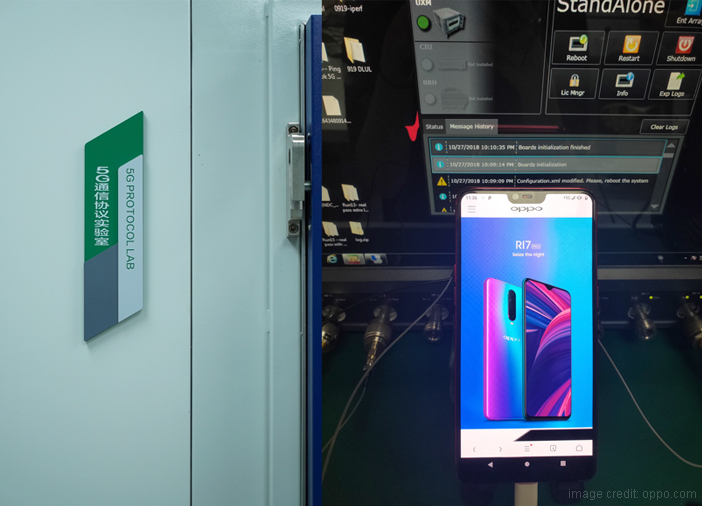 During the test, the smartphone was connected to 5G components like RF, RFFE, Systemboard and antenna. Additionally, the 5G logo also appeared on the right corner of the smartphone’s display during the testing. During the Beijing 2018 Qualcomm China Technology and Cooperation Summit, Oppo and Qualcomm announced their partnership. The tie-up between these two companies known as the 5G Pilot Program has been set to ‘explore mobile technology innovations in the 5G network’. 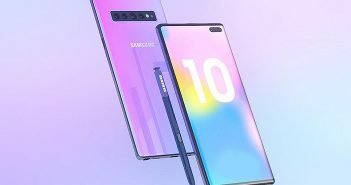 With 5G connectivity on a smartphone, users will be able to enjoy internet speeds that reach up to 20Gbps. Furthermore, as of now, Europe and North America are likely to be the first regions to receive compatibility for 5G connectivity. Not just Oppo, smartphone companies like Samsung, Xiaomi, OnePlus are also working on developing 5G compatibility on their smartphones. It is safe to say that, 5G connectivity on smartphones will be the trend for 2019. But, seeing that Oppo has successfully gained access for 5G connectivity, it might be the first company to launch a 5G smartphone in 2019. 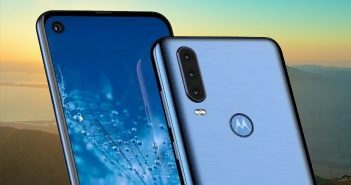 Rumours also predict that smartphones with 5G connectivity will be paired with Qualcomm Snapdragon 855 processor. Qualcomm’s upcoming Snapdragon 855 processor will also bring forth the Quick Charge 5.0 charging technology. Next Article OnePlus 6T is Here: What Makes it Different From the Previous OnePlus Phones?